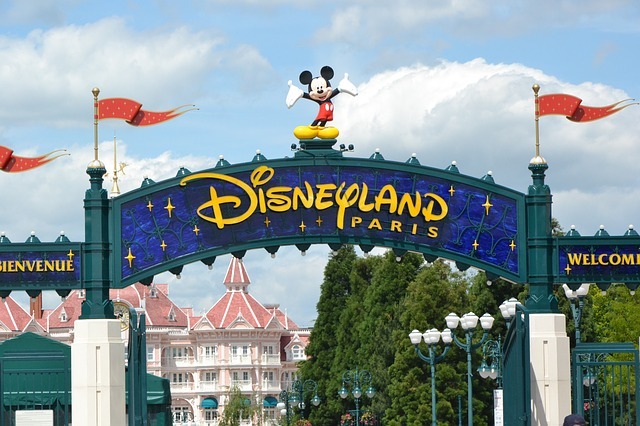 Disneyland Paris – No thanks! Teachers over the years have informed us that Leila, our eldest daughter, demonstrates an exceptional use of persuasive argument – this has never come as a surprise. Leila has been reasoning and remonstrating with us since she was two years old. When she was 10 she managed to persuade us that our family had hit that moment in time when a trip to Disneyland Paris was going to be perfect for our family. 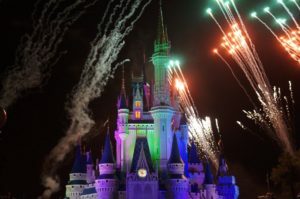 She pointed out that she was still young enough to enjoy the wonder and magic of Disneyland and the twins, at the grand age of 4, were now old enough to cope with a full day out at a busy theme park. If we left it another year or two it would be too late for everyone to really love it, she said. We had already planned to go and stay with friends who lived in France for a couple of weeks that summer and Leila pointed out that on the drive back up the country we could “easily” fit in a trip to Disneyland. 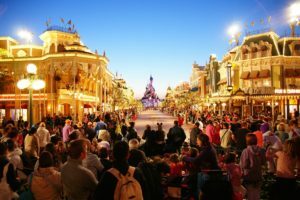 Her persistent calm rational requests worked and we found ourselves dutifully forking out for 2 nights accommodation and a one day Disneyland pass thinking we’d finish off our holiday on a high note – living the Disney dream. And so one day in August 2009 we woke up very early somewhere on the outskirts of Paris and set off full of excitement to enjoy a day of fun at Disneyland Paris. Unfortunately somewhere alone the line I’d managed to forget the fact that, like Edward, I don’t really like busy crowded places. 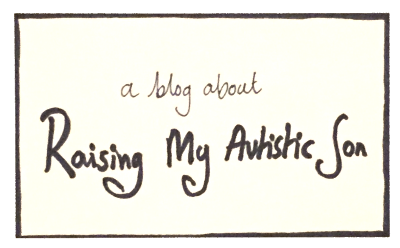 I felt a bit stressed from the moment I arrived and I certainly didn’t bring my winning hand to the parenting table that day – maybe more caffeine consumption on my part would have helped (Nick’s theory) – I guess we’ll never know! We’d been on a few gentle rides when we decided we’d try Thunder Mountain. Seb and Ivy were only just tall enough to go on this ride but we reckoned they’d be fine. We queued for about an hour just to get on the ride. It was hot, the kids got bored and I was grouchy. At one point in the queue we were able to observe families who had just got off the ride. They looked happy and exhilarated and these observations buoyed us all up and helped us to wait more patiently. Eventually our time came and with relief we filed into our carriage. I sat in-between the twins and Nick sat with Edward and Leila on the row behind. With some creaking and jolting we started to move forwards but it soon became apparent that we’d totally misjudged the situation; Ivy and Seb were absolutely terrified. This was evidenced by Ivy screaming at the top of her lungs and by Seb whimpering quietly to himself. I spent the entire ride with my arms around each of them reassuring them that it would soon be over whilst consoling myself with the fact that my other kids were having a great time just behind me. When the ride stopped Seb and Ivy began a loud sobbing duet; Edward seeing their distress gave vent to his own emotions. “Why did you make me do that? That was the worse experience of my life! Why do people enjoy doing this? This was a terrible mistake!” . He was very loud and he was very very angry. When his questions ceased he joined the twins in a kind of group wail. I noticed that other parents with young children who were waiting in the queue for Thunder Mountain were watching us in the same way people view the aftermath of a car crash. “Oh that’s awful, those poor people, I hope that doesn’t happen to us.” I felt their dismay and fading hope, as the reality of our experience hit home. Nick and I caught each others eye and couldn’t help but start to laugh at how ridiculous the whole self-inflicted situation had become. I was literally crying with tension releasing laughter and for a moment or two we were both incapable of providing any comfort to our three hysterical children. Leila, who was mortified by the whole performance, walked off and stood some distance away to minimise the risk of being identified as a member of our group. I know some people love going to Disneyland with their kids – even for days at a time. If that is you, then I salute you – you must have an inner strength that I simply do not possess. As for us, let’s just say we’ve never had even the faintest inclination to do a return visit. If, despite reading this, you are still planning to take a child with SEND (Special Educational Needs/Disability) to a theme park this summer you might be interested to know that many theme parks have extra provision for families with SEND kids, including queue jumping passes if queuing would be too difficult for your child, You can find out more here. If you go to Disneyland, I sincerely hope you have a much better day out than we did!